FULTON, NY – George Zarichny, 95, of Fulton, passed away Friday February 12, 2016. He was a proud Army veteran, having served during World War II as a paratrooper in the 82nd Airborne in North Africa and Sicily. 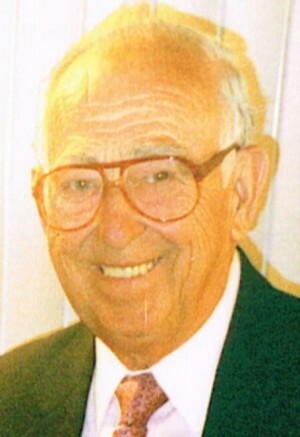 George was an insurance agent for Prudential for 21 years. He will be forever missed by his loving wife of 70 years, Blanche; two sons, Greg and Paul of Fulton; and daughter, Carol of Atlanta, Ga.
As were George’s wishes, there are no calling hours or services. Greg , was sorry to hear about your Dad’s passing , it’s never easy to cope with death but he lived a long good life . Hang in there and God Bless . I worked with George for several years, back in the 60’s. He was always a very positive and encouraging man who had many gifts and talents in the Sales industry. I learned plenty from George. Condolences to the Family. So sorry Carol to hear of you losing your dad. He was my parents insurance man for many years. Tammy and Greg .. So very sorry to hear of your dad’s passing… You are in our thoughts and prayers at this difficult time. So Sorry Knew him well and he was a very very respectable man and well liked. We are so very sorry to read of your father’s passing. You are in our thoughts and prayers.